You can write what you want in the comment section! 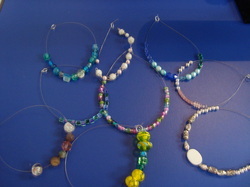 I can make earings, necklesses, and bracelets! You do have to write your email. Plus write your name and what you want!